If an apple a day keeps the doctor away, then once daily teeth brushing on your pet will keep the dentist away! At home brushing is the single most important tool to keep periodontal disease at bay. Remember -- you don’t have to brush all the teeth, just the ones you want to keep! 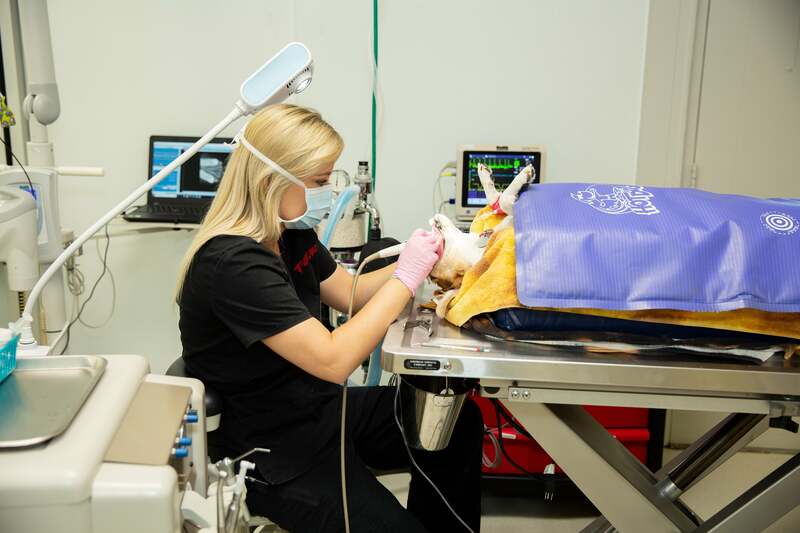 At Pleasant Valley Veterinary Clinic, we offer a full variety of dental services to keep your pet in tip top shape. Regular oral exams, dental cleanings and at home care should lay the foundation of your pet’s health care.